The past few weeks have been very busy both personally and in the virtualisation arena. My previous posting on the DNS issues I came across and my still unanswered problem with Virtual Distributed Switching VLAN connectivity(which I will post a blog about when I find a solution better than the long winded work around I detailed in my discussion) while deploying a large number of projects both here in the UK as well as in the US has kept me very busy. As for the virtualisation side there has been a large amount of interesting articles,more employment movements by some of the top people in virtualisation and a very nice bit of coverage of this blog. VMware’s recently acquired company Zimbra. I would firmly recommend reading up on what Zimbra is and what it does as I have a very strong feeling we’ll be hearing plenty about it in the coming weeks and months.A very interesting acquisition which I’m sure is one they have done to increase their clout in the Cloud Computing arena. The news and painful lack of definite news on the decommissioning of the service console was of upmost interest to me obviously as we have a large array of esx machines here in my environment that are all using the service console. I’ve still not read any really good reasons for this happening apart from someone at VMware thinking it would be fun to make VMware Systems Administrators have cold sweats at the the threat of it coming in soon and the work that will need to be done as well as the skills that will need to be learnt for this to happen. From chatting to a few fellow virtualisation sys admin’s there is a lot of dissatisfaction with this decision and the reasoning of “minimize the possible attack surface”. This is complete rubbish to me as the trade off of ease of configuration and management compared to the possibility of your systems being attacked is massively painful as with correct security procedures there shouldn’t be any real chance of this happening so why take it away and make my job that much more difficult and complex. Hopefully someone will be able to answer this with better reasoning.Scott Lowe’s first session’s blog comments have detailed part of this and is where my disappointment in the still lack of news is detailed by a few people. The next part that i did find interesting due to my plans to utilise the software for my works own environment was the talk about VMware Chargeback. Scott Lowe’s blog about this session was the one i got the most out of on the topic and is one I’m currently using as a resource for my roll out of the appliance. Hopefully if all goes well I can post my findings and opinions of what it does and how it has or hasn’t helped me. After much waiting (almost three months) my VCP4 certificate finally arrived this past week and with it my workstation 7 licence key. The licence is very helpful as I use workstation 7 for a lot of my home testing/workshop testing and work. Eric Sloof(@esloof) posted about the kits being sent out and as well as the new vcp logo which I have now attached to my signature at the bottom to keep in accordance. In the past two weeks one of my team members and I have now been tasked with the backing up of our virtual machines and so i needed to brush up my knowledge on vcb backups. While asking an open question on this David Convery(@dconvery) pointed me to a blog posting he did detailing a document he wrote all about vcb and how it works and how to deploy it. It’s a brilliant document and one I have saved and have been using to manage our vcb backup environment. As I have detailed in previous blog postings my aim this year to try better my skills in Powershell so that I can make my life easier in managing my companies virtualised environment. One of the leaders in this field in using powershell for VMware tasks is Alan Renouf(@alanrenouf). Last Monday he posted a brilliant article detailing automated vm provisioning. I have yet to try these scripts out but if these do what they say they can do and are anything like his vcheck tool then I can’t wait to get them to make my daily job easier. Simon Seagrave from techhead.co.uk posted about the ability to Pre-register now to be notified when you will be able to register for VMworld2010 (i had to read that twice myself to make sure it made sense) I’m planning on going to the European one this year, which I’m extremely excited for for so many obvious reasons!! While busy working this past week I decided to catch up on all the VMTN podcasts I hadn’t listened to yet as I like to keep up to date on everything happening and unfortunately with the amount of new and information coming out all the time the only time I can listen to these things is while I’m at work. The last one had Mike Laverick of RTFM-ED fame and Stevie Chambers from the UCS team and of viewyonder.com fame. The podcast was extremely interesting to me and I found myself sitting still at points to concentrate on the things the podcast was covering. The podcasts are very informative and I would highly recommend them to anyone wanting to learn and keep up to date with everything happening and due to happen in the virtualisation field. As I said in my previous All Things Virtual posting the London/South England VMUG is happening next week Thursday. Sadly I’m not able to attend as I stated in the posting which was made even more painful this week when I heard it’s fully booked before my co-workers had registered so now none of us are going and that so many of the top british virtualisation industry leaders are attending. I’ll definitely be glued to twitter during the day and Simon Long of SLOG fame has promised me a detailed blog about the days proceedings. Categories: Microsoft, Virtualisation | Tags: automated vm provisioning, powershell, Saffa, using powershell for VMware tasks, VCB, VCP4, VMUG, VMware, VMware Chargeback, VMworld 2010, vSphere Mini Monitor, workstation 7 | Permalink. I know it’s the end of January but due to my being on holiday back in South Africa then on honeymoon this is my first posting of the new year. Due to this, there has been a large amount of virtual things i have been interested by and learning about. I see the next UK south/London VMware User Group is happening on the 25th of February. The last one I went to was really interesting and also a great day of meeting some fellow virtualisation geeks like myself who I talk to and follow on twitter. Unfortunately it doesn’t look like I’m going to be able to make this one as out of our team of four only two of us can afford to go due to work constraints and so my fellow co-workers who didn’t go last time now have preference. A new addition to EMC’s ranks is Scott Lowe. I’ve spoken of Scott before as his book Mastering VMware vSphere 4 was extremely beneficial to me in my studies for my VCP4 exam. He recently posted a brilliant article on Resetting the Root Password on VMware ESX 4.0. If you are like me and pretty much any IT person i know then you have forgotten the admin password at least once in your career. One of the main ones you don’t want to forget is your esx host’s root password. Scott has detailed a few simple steps of resetting yours and I’ve already added the link to my favourites as I’m sure it’s only a matter of time before someone forgets theirs and asks me how to reset it. Talking of EMC employees Chad Sakac posted a blog entry all about EMC and Cisco looking for people to fill some positions. There was a very large amount of conversation and comments on twitter about this and most amusing to me was his first test of people having to work out his EMC e-mail address to apply for the roles. Even more scary was that people couldn’t work it out somehow and were posting comments to the blog asking how to apply still. As everyone knows there is a large amount of competition(yes an understatement) between Microsoft and VMware for the best virtualisation applications and services. A very recent and interesting bit of this came out in the last few weeks. Nick Weaver (@lynxbat) has covered both sides of it all and is a blog i highly recommend if you want to amuse yourself and keep yourself informed of what is happening. A big congratulations has to go out to Mike Laverick(@mike_laverick) who has now joined SearchVMware.com.Mike’s website and blog are renowned in the virtualisation industry so his joining is of great interest and seems in another one in the top 15 blogs who has now joined a new company He details his joining in his blog posting on the subject and his thought behind it. There has been loads of talk over the past weeks about how virtualisation is now making its way from consolidating old back end servers to running tier 1 Applications. A brilliant posting on this was Jason Nash’s blog Why Isn’t Your Data Centre 100% Virtualized? which was the Winner of Cycle 7 on Virtualizing Tier 1 Applications. It does raise many valid points and also shows that virtualisation technologies are rightfully slowly being accepted as being capable of running companies tier 1 applications. Another blog stemming off this growth of virtualisation is one i read last week about how it’s believed that the best days of virtualization are still ahead of us. A very interesting posting even if you aren’t in the virtualisation industry. As I’ve said many times before in my blog postings i enjoy challenging myself and growing my knowledge by doing courses in fields I’m currently working in and/or fields that interest me. 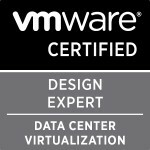 Recently a new VMware course was released called VMware vSphere: Manage and Design for Performance. Scott Vessey from global knowledge was the person who i saw mention it first then Scott Drummonds posted a blog entry about how he actioned the idea of the course,how himself and his team have worked alongside the Education Services team at VMware to get the course up to standard and complete and the full layout of the courses modules. Hopefully i can get myself on this course very soon as it would be highly beneficial to my daily job. also congratulations to Scott V on his being chosen as Global Knowledge UK “Trainer of the Year” for 2009. Gabrie van Zanten(@gabvirtualworld) wrote a really interesting and myth busting posting all about memory overcommiting and how he has proven it doesn’t impact your environment any more than normal memory usage. I would highly recommend it as it’s well worth a read to prove it not only to yourself but others of how overcommiting your memory will save you physical resources without the heavy payment. Both Simon Long (@simonlong_) and Simon Seagrave(@kiwi_si) have posted entries on their blog sites:The SLOG and Techhead today about the new vSphere 4.0 Security Hardening Guide. The guide looks like a brilliant resource tool and is definitely something i will be printing out and adding to my resource library. Last but not least is all the nifty tools and diagrams people have been creating over the past few weeks. I’ve just listed them as it’s easier for you to choose the ones that might interest you rather than me waffling on about them. Categories: Virtualisation | Tags: london VMUG, powershell, using powershell for VMware tasks | Permalink. Hopefully these will give me a basic basic knowledge of standard commands i can use and how they work as I’m a very big point and click type of person. There are many brilliant resources out there to learn from and reference. For PowerCLI there is obviously the administration guide. The administration guide has loads of examples and covers both basic and advanced cmdlet usage. I’m definitely going to be spending a fair amount of time reading through and learning everything in the guide.Obviously to do all the great commands in your VMware environment you’ll need to install the PowerCLI application from http://www.vmware.com/support/developer/windowstoolkit/index.html. Microsoft has very handy PowerShell Quick Reference guide that has some very good examples for doing stuff in your environment. Vinternal (@vinternals) has a really great blog page about learning all things powercli http://vinternals.com/powercli-mastery/ which is something I’m planning to get through once i have learnt all the basics from all the above resources. But a really great resource. Categories: Automation, Microsoft, Virtualisation | Tags: PowerCLI, powershell, VMware, VMworld | Permalink. Last week Tuesday i attended my first VMware user group. I have to admit that i was sadly really excited to be attending it for learning about new things from my fellow peers and also about finally meeting some of the people i follow on twitter and whose blogs i read and receive so much information from. The event was help not far from EMC Consulting’s London offices at the Chambers of commerce and trade near Southwark bridge. I confirmed my attendance to Jonathan Medd’s( @jonathanmedd) powershell session before the user group as i knew my powershell skills are far from competent and what better way than to get a run through of the best tools and methods i should learn for administering my VMware environment. Jonathon covered a couple of very interesting applications the first one being the vCheck by Alan Renouf(@alanrenouf). I don’t know how i never learnt or heard about his tool but it is definitely something i am planning on rolling out for my VMware environment as soon as possible as it’s reporting of any problems and things you need to watch/resolve is a great tool for any VMware administrator wanting to keep his/her environment running smoothly. Another topic which was covered by Jonathan which I’m definitely now planning to make a concerted effort of attempting to get through and learn is using powershell and powergui to automate and administer my environment. Fellow VMware user group attendee Simon Long @simonlong_) wrote a great blog about learning it which I’m definitely going to try and get through. Jonathan also covered onyx alpha and VESI. New applications to me which look to be very helpful also in the maintenance of your VMware environment. I really do have a lot of reading a research to do on this scripting/powershell side! Next was the sponsors chat who were Symantec. I was quite impressed with them as i have to be honest i had no idea they had so many tools and solutions geared towards virtualisation. Their next set of releases in 2010 are well worth looking out for especially if you have a number of their solutions in your environment already. Then Simon Gallagher(@vinf_net) spoke about creating a white box environment for home testing/learning. His T.A.R.D.I.S. (no i can’t remember what exactly the acronym stands for) was a real eye opener especially the vmotioning of a machine from a virtual esx server in a virtual machine(yes this isn’t a typo) to a physical host was very impressive and definitely showed how well developed the VMware technology really is. Simon Seagrave(@kiwi_si) who was meant to co host this session but couldn’t because of work commitments has a really great page on his site about the equipment they used and deals on equipment you could use for your own white box lab environment. The final session was by Mike Laverick(@mikelaverick) and Guy Chapman talking about their opinions and thoughts on cloud computing and the new vSphere features. This was a great session as really brought up a nice discussion from everyone. I’m definitely looking forward to going through his slides once they are published as he had some brilliant comments and references and his describing of the cloud was especially interesting to me as I’m also trying to understand what the cloud is and what it will do for me and my organisation. A big thank you to Alaric and the rest of the guys for organising the user group. I thoroughly enjoyed it and hope to be able to make the next one. If you live in the south of England and wish to come to the next one i would recommend joining the community on http://communities.vmware.com/community/vmug/emea/london?view=discussions and subscribing to any new posting on the community or mailing londonvmug@yahoo.com and requesting to be added to the list for the next one early next year. Categories: Virtualisation | Tags: london VMUG, PowerCLI, powershell, tardis, The VESI, vcheck, VMware | Permalink.